Jessica Champlin and Sebastian Hess couldn’t make their marriage work. When they moved from New York to Chicago, their plan was that Sebastian would leave his war correspondent days behind and become a regular journalist. But after a year of normalcy, he began once again accepting assignments in dangerous locations. The years of never knowing where her husband was when he left the country until she read in the paper that he had been embedded with a Navy SEAL team in Afghanistan or in some other equally dangerous circumstances proved more that Jessica could live with. But she and Sebastian are both devoted to Baxter, their mini-goldendoodle, and since neither is willing to give up Baxter, they agree on joint custody. Jessica, a high profile stylist who works with politicians, actors, and other celebrities as well as magazines and businesses, has custody when Sebastian, who, two years after their divorce, still spends much of his time on assignments at hot spots around the world, is out of the country. Sebastian gets Baxter when he is in town. Baxter has just returned from time with his “dad” when he and Jessica take a walk to Baxter’s favorite place, the dog park. Baxter breaks loose and tackles a toddler, saving her from being hit by a speeding delivery truck. A neighborhood teenager, a budding filmmaker, records the incident, and when he shares the video on the web, it goes viral. Suddenly, Baxter is the latest celebrity, featured on television and in the press and recognized by passersby when Jessica takes him for a walk. A fringe benefit is the wild success of the handmade collar and leash that Jessica had made for Baxter, decorated with stars from an old Harry Potter wizard Halloween costume Sebastian once wore. Jess designed the bedazzled collar specifically to needle her ex, and she succeeded. But now orders for the dog gear from pet owners who want their animals wearing the same gold-starred ensemble as “Superdog” pour in faster that Jessica can fill them. Jessica has a new business, and she soon has a promising new romance as well. She is delighted with the changes in her life. She and Sebastian still love one another, but clearly love hadn’t been enough to make their marriage last. Everything seems on track for her plan to stop obsessing over what went wrong with her marriage and get on with the rest of her life. But Jess discovers that fame has its downside as well. Both she and Sebastian have secrets in their lives that they have good reason not to want made public, and betrayal strikes from unexpected sources. When real tragedy threatens, Jessica decides what matters most in her life and finds the necessary strength within herself and in surprising support from others to act. The Dog Park is a sometimes amusing story with some dark threads. Along with the charms of Baxter and some light-hearted moments (Dog lovers will delight in the dog park scene) are more substantive issues such as the cost secrets exact on relationships, what constitutes justice, and the role of media in contemporary life. Although the relationship between Jessica and Sebastian is integral to the story and Sebastian’s point of view is available to the reader at points, this is primarily Jessica’s story. Consequently, I hesitate to classify this novel as conventionally romance. It might be more accurately described as a cross between romance and chick lit. Whatever label is attached, it is a satisfying reunion story on multiple levels, and Baxter is a charmer who is both a heart stealer and a scene stealer. 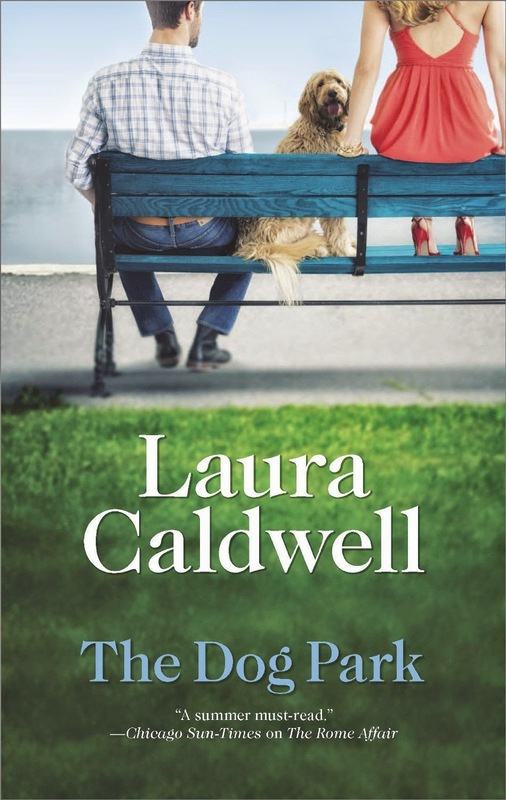 If you are a reader who enjoys relationship stories or one who likes stories in which pets figure as real characters, The Dog Park is a novel I think you will enjoy. Sounds like an interesting exploration of the complexities of a relationship.